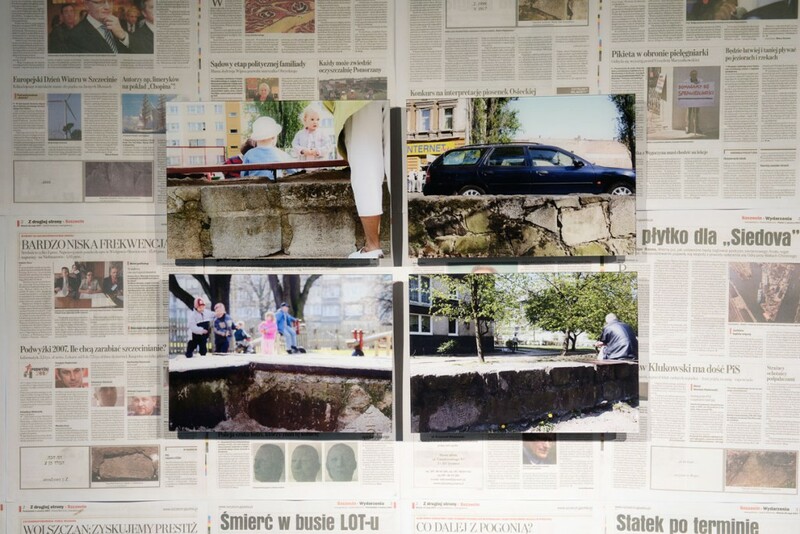 Karolina Freino documents in her work Walls and Sandpits (2007) forty places in her hometown Szczecin, where matzevot, Jewish gravestones, that were looted from Jewish cemeteries from the World War Two on, were used as construction material, appearing in walls, sandpits, pathways, and courtyards. They can be found all over the city with their inscriptions still visible in a more or less fragmented form. Freino published obituaries using those fragments of text, which were still decipherable on the stones alongside their Polish translation in Szczecin’s four largest daily newspapers, Gazeta Wyborcza, Głos Szczeciński, Kurier, and Moje Miasto. Next to the however fragmented obituaries sometimes containing only a few words, she published photographs of the headstones documenting the location and function they were to be found in. Finding and documenting the matzevot was a process in collaboration with an association of amateur historians dedicated to the local history. The photographs were also submitted with a letter to the City Conservation Office asking for an official standpoint on the matter. The numerous reactions following the publication of the obituaries show the great demand and challenge for the people of Szczecin to find adequate forms of remembrance and responsibility for historical issues of their town. It is a discussion which had been suppressed by communist censorship for decades. 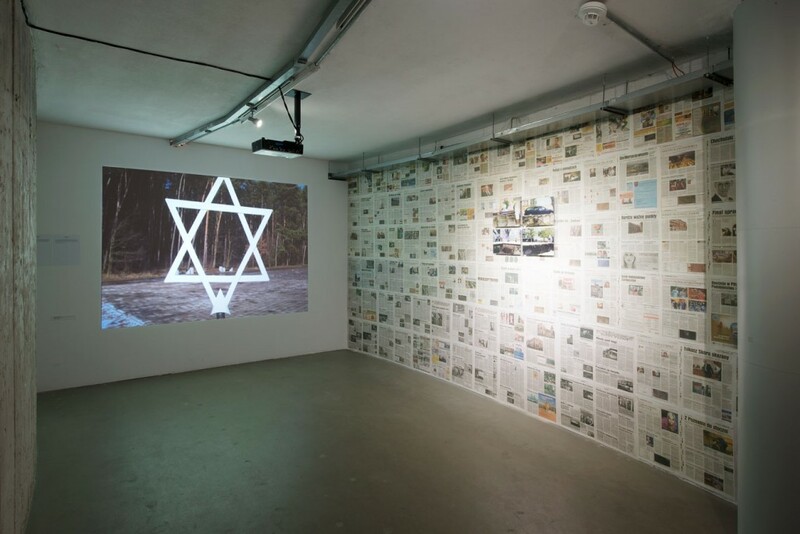 With the fall of communism in Poland and the revival of Jewish cultural, social, and religious life, it is undergoing a vivid re-evaluation in public consciousness. Karolina Freino ( *1978 in Szczecin, Poland), studied at the Academy of the Fine Arts in Wrocław, at Edinburgh College of Art and at the Bauhaus University in Weimar, lives and works in Wrocław. Karolina Freino’s objects of research are media and urban spaces. In her works, she has often dealt with the themes of experience and memory, minority and the representation of history and power, the contents of which she always transfers to the present. In 2013, she created for the facade of the Kunsthaus her permanent work S.OS. (Save our Souls), consisting of 9 convex mirror elements and translating the Morse signals, three short, three long, three short, · · · − − − · · · , defined in 1906 by the 2nd International Radio Telegraph Convention in Berlin, into a three-dimensional language. 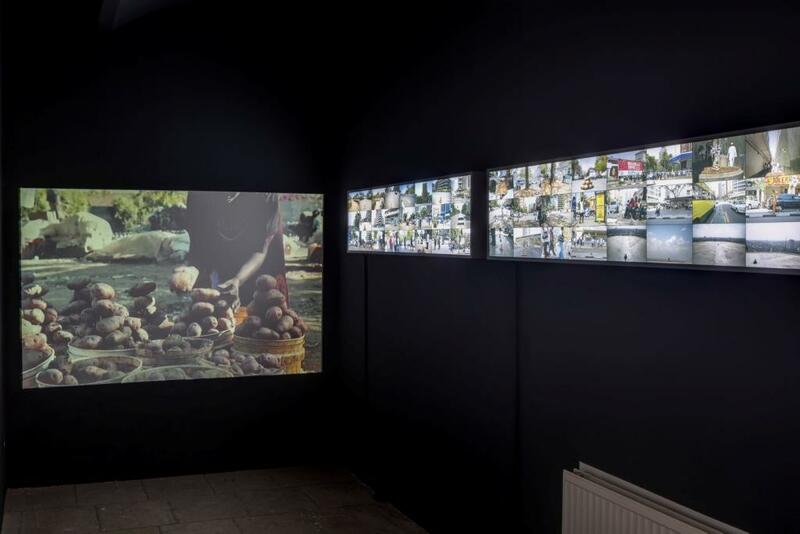 James Muriuki mainly works in the medium of experimental photography and video on visual codes in urban spaces. 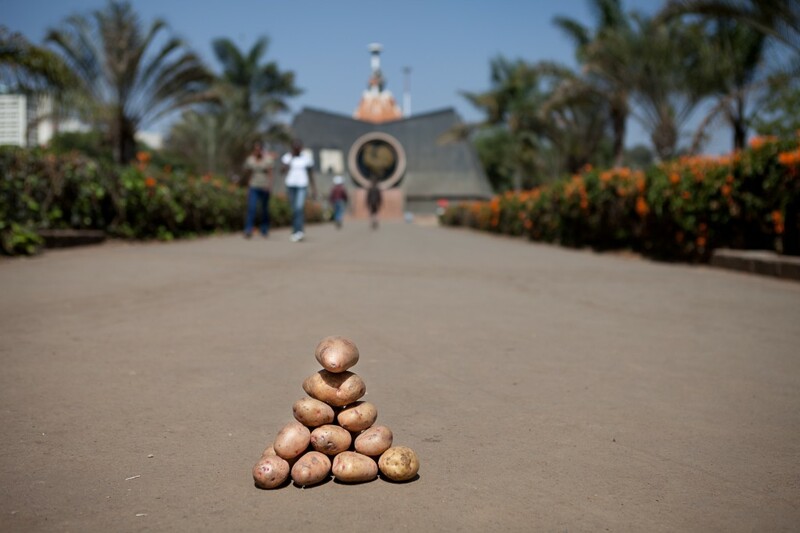 Kenyan Pyramids was realised in 2011 in the frame of a project dedicated to individual memory and public remembrance in Nairobi. The work jointly developed by Karolina Freino and James Muriuki took up a presentation form of unknown origin often seen at markets, namely, the arrangement of goods to a kind of pyramid. Work at the markets, which does not count much, is predominantly carried out by women, who in Kenyan history are hardly attributed a position of their own either. The result consisted in a documentary video, a conversation with Penninah, a woman selling goods at the market, and in 32 potato pyramids in the urban space of Nairobi placed along streets, on squares, in parks and near monuments. The precariousness of living history and the discrepancy between the assumed and attributed role stand in a deliberately chosen, contrasting and at once productive relationship to the theme of Vot ken you mach?. James Muriuki (*in 1977 in Nairobi, Kenya) lives and works in Nairobi.